We have a nice foundation for testing our client networking, but the code’s a bit of a mess. 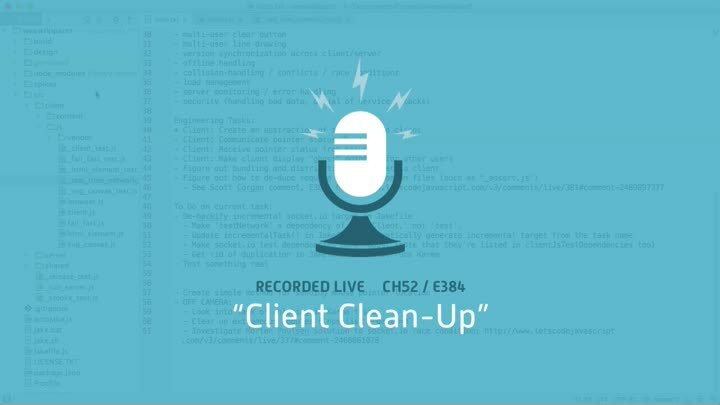 In this episode, we take a step back and clean things up. We factor out the duplication in our client test tasks, simplify our incremental build logic, and factor out a dedicated directory for client networking code.